MANILA- The biggest security crisis to hit the Philippines in 2017 was "really a prolonged war," Autonomous Region in Muslim Mindanao (ARMM) Assemblyman Zia Alonto Adiong said on Tuesday. Looking back at the bloodshed that claimed over 1,000 lives and forced hundreds of thousands to flee, Adiong said no one thought that the siege would even last for a week, much more 5 months. "It was really a prolonged war. Nobody was expecting that it would drag on for 5 months...Nobody really expected that the war would go on for even about a week much less 2 weeks," he said on ANC's Beyond Politics. 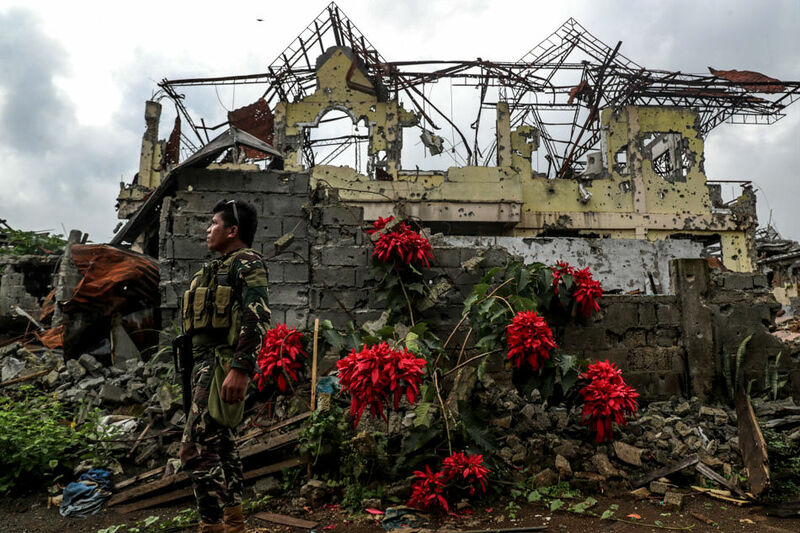 On May 23, 2017, Islamic State-inspired extremists laid siege on Marawi City prompting President Rodrigo Duterte to place the entire island of Mindanao under martial law. The war dragged on for months until government troops killed the terrorists' leaders in October. Adiong conceded that the war was really "well-planned and well-organized" for a local terrorist group such as the Maute.